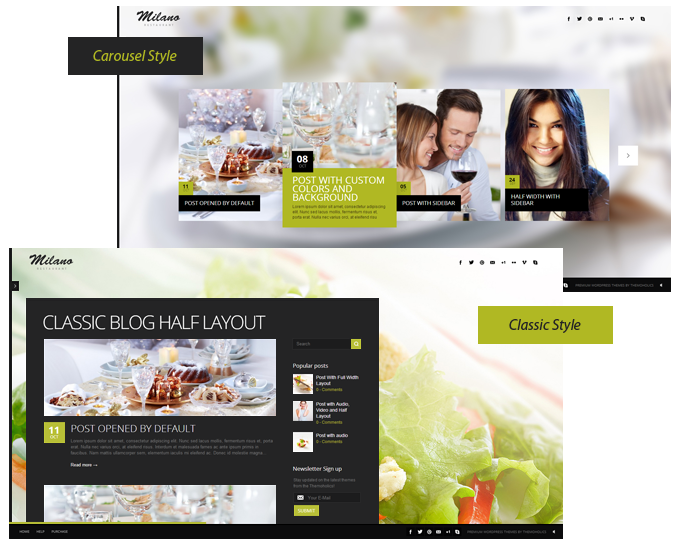 Blog Carousel Style – for those who like to provide information elegant. Classic – allows you to adjust page layout. You can make your blog page to cover 1/3, 1/2 (2/3 with sidebar) or full width. Portfolio comes as custom post type with its own settings as for pages and for posts. Carousel – may be used in completely different purposes. I.e. as a restaurant menu, hotel rooms showcase, photographer or designer portfolio, list of products and many more. You can set any size for portfolio carousel thumbnails. 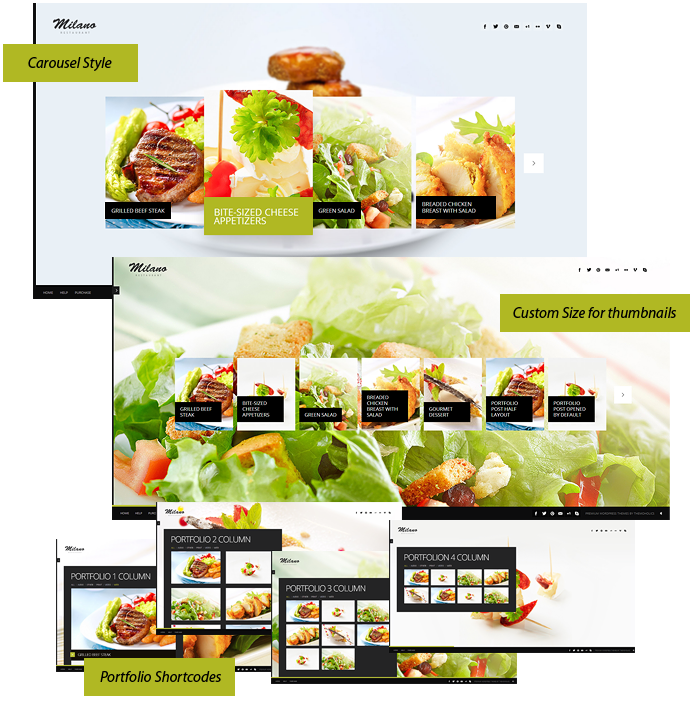 Portfolio shortcodes comes with 1, 2, 3 or 4, columns per page. * Thumnbnails are scaleable and depends on page layout settings: 1/3, 1/2 and full width. Portfolio shortcodes can be sortable ( using isotop ) or with pagination.